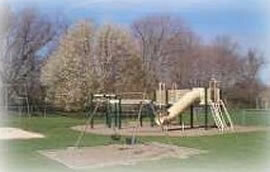 The Water Mill Community Club owns and maintains four buildings, soccer and baseball fields, three tennis courts including a tennis backboard and an enclosed playground for both tots and school-aged children. Our buildings consist of the Burnett Field House, historic Community House, Tennis House, and the Carpenter storage building. Each of these buildings is unique and different in size and are used or rented for many different events such as Club meetings and events, a pre-school playgroup, church services, family and class reunions, sports activities,birthday parties and more. Please see the individual descriptions that follow. The Burnett Field House is named after the late James “Jimmy” Burnett, son of James “Bud” and Marge Burnett. Jimmy served in Vietnam and gave the ultimate sacrifice. This facility is a 40×120′ structure. It has been updated with an attractive new floor and garage doors. 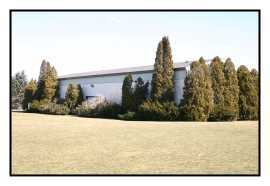 The building is used for events such as The Rocket Launch and BBQ, The Taste of Water Mill and the Pizza Party Hayride. 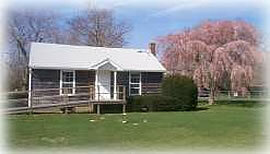 It is available to rent from May through November for Class reunions and other functions. 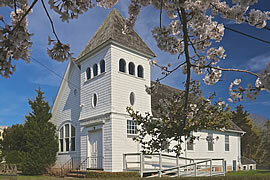 Located at the light on Montauk Highway, the Community House was built circa 1890’s. It is used for many club events and is now air conditioned. It is rented to New Thought Spiritual Center for Sunday Church services and for contra dancing the first Saturday of months October – May, hosted by the Long Island Traditional Music Association. It is available to rent throughout the year. Donated by C. Edwin Dimon the Tennis House was moved onto the property in 1955. 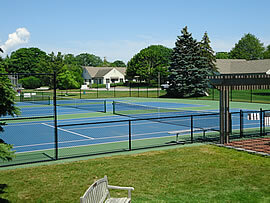 The 300 square foot Tennis house is open daily during the summer. Tennis court monitors check in members and handle court rentals. The adjoining playground is open from dawn to dusk. This air conditioned building is available for rent. Our Baseball fields are rented annually to the Hamptons Baseball Camp for youth ages 4 – 16 from June to September. There are two baseball fields available. The Little league field is a fully functional, competiton grade ball field. The “Babe Ruth” field is unfinished and used for practice sessions. The Tennis courts were updated a few years ago and are available for working members, Tennis members, or to rent hourly from May to October. Court Attendants are on site to rent courts to non-Tennis members and to sell water or tennis balls. If you are interested in becoming a tennis member, please see our Tennis Membership Application on our home page. If you have questions about membership or would like to reserve a court, please call 631-488-5504 – during the season.